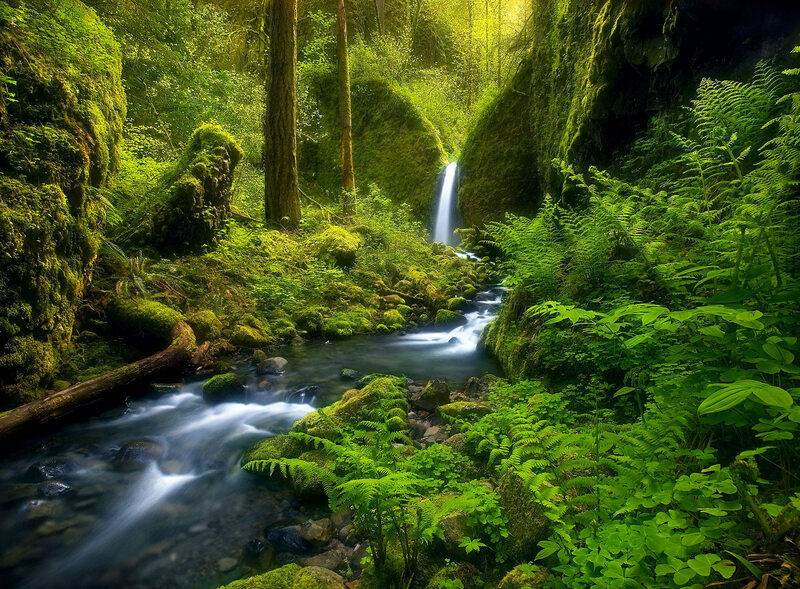 An enchanting waterfall and stream in a wild and remote region of Oregon's Columbia Gorge. Years after I made this image (which I had not seen before at the time), thousands of photographers had seen and then gone to this spot. They have ruined the ferns on the lower/right side of the image, so in a way the scene here is a preservation of something more important than our photography. These are sensitive areas, and we all must take care first and foremost. Photo © copyright by Marc Adamus.